Samsung has a tendency to experiment with futuristic technology, and now it's at it again. This time, it's taking smartphone displays to the extreme. The company is already looking past 4K and even 8K displays, aiming for the pinnacle in mobile display technology. With 11K, the panel would have a pixel density of 2,250ppi, which would put current displays to shame. So why aim for the 11K mark? Well, apparently at such a high quality, the phone would be able to offer 3D visual effects without having to don some dodgy thick-framed glasses. On top of that, it would also greatly improve the capabilities of virtual reality headsets. While we like the Samsung Gear VR, it uses the Galaxy Note 4's 2K display which isn't really enough and can ruin the immersion. Meanwhile 11K would split the screen between the two lenses easily, making for a much better experience. Samsung is said to be working alongside the South Korean government – which is investing nearly 27 million into the project over 5 years - and 12 other companies. The plan is to unveil the 11K panel at the 2018 Winter Olympics in Pyeongchang. This isn't the first time Samsung has tried something new. 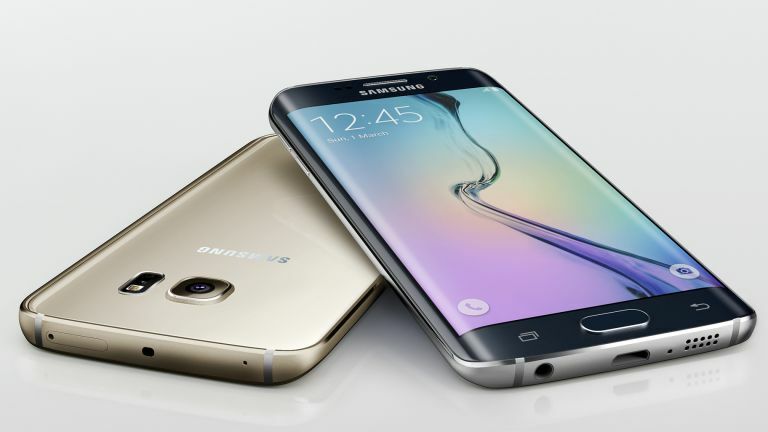 It debuted a dual-curved display on the smash-hit Galaxy S6 Edge and has also filed a patent for a flexible smartphone.